AS if God was protecting her, 77-year-old Shirley Rattan held an armed intruder by the shoulders and shook him on Thursday afternoon. “Let me tell you something, Jehovah God and Jesus Christ will never let you kill me. You can’t kill me. Jehovah God will not allow that! “If you come to thief, take everything you want,” Rattan told the man. 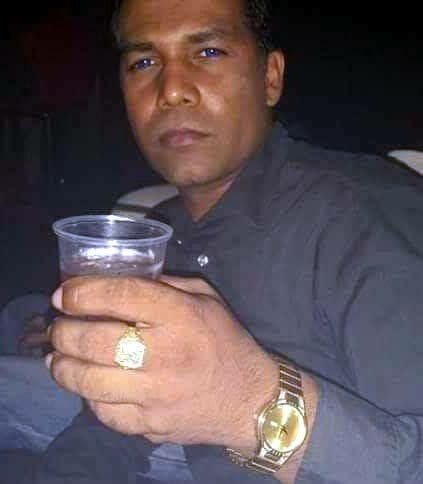 Unknown to her at the time, he and another man had moments earlier shot and killed her son Rawson, 36, downstairs in the family’s home at SS Erin Road, Syne Village, Penal. Rawson was an appliance technician. His accomplice had a gun. After killing Rawson, tying up Rattan and her grandson and ransacking the house, the killers left with Rattan’s pension. She had planned to give part of that $3,000 to the collection at the Jehovah’s Witness Kingdom Hall at Penal, where she meant to go later that day. “I said, ‘Boy, that is my money for the Kingdom Hall.’ But he did not give me it back,” Rattan said. Shortly after 2 pm on Thursday, Rattan and her husband Kenny, 79, heard a noise, which turned out to be a gunshot, while they were on the top floor of their home. Rattan began going downstairs to find out what the noise was, but the intruder shoved her and ordered her to go back upstairs. With a knife in hand, he pushed her into a bedroom and began ransacking the place. It was after he found the money he got angry. “I told him I did not have any money and gold. I feel he got angry because like he was thinking it had more money in the house. “It was then I walked up to him. He was a little taller than me,” Rattan said. They tied her up, as well as her grandson Dominic Rampersad, who arrived at the house during the robbery. The mother of four believed her son resisted the men and that was why he was shot dead. He was watching television upstairs on a couch when the gunman ordered him not to move. “If I had gotten up, I would have worsened the situation. The one with the knife was cool – the other one wanted to kill us all. After the men left the house, Rattan and her grandson untied themselves and contacted police. They found Rawson’s body downstairs. Penal police and Homicide Bureau Region III visited the scene. An autopsy was expected to be done yesterday at the Forensic Science Centre, St James. Reply to "Granny tells killer: ‘You can’t kill me’"